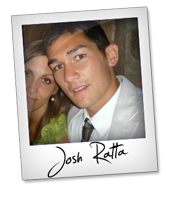 Welcome to the JVNP 2.0 Weekend Update featuring a primary JV request courtesy of fellow JVNP 2.0 Partner Josh Ratta (eVideo Rocket JVZoo affiliate program JV invite), Buzz Builders, and More … in Today’s pocket eVideo Rocket commission edition. Looking forward to making this launch a massive success for you, so if you need anything shoot me a message. Review copies, bonus pages … hit me up! Over $2000 in JV Prizes! eVideo Rocket is a HQ product your list will love! It basically teaches how to create professional sales videos using PowerPoint, Prezi & After Effects. It also includes 3 Professional done for you video templates, 3 Audio Backing Tracks, A Script Writing Resource and extra video bonuses. The funnel is really congruent with the FE offer so expect great conversions throughout. We’re holding a price freeze for first 48 hours then on dimesale till the end of the 7 day launch promotion where price will be lifted to $37 so added scarcity for the last couple days to add more sales. My last 2 out of 3 launches were product of the day on JVZoo. I partner with Sam Bakker for quite a few launches throughout the year and always see high EPC’s with a really low refund rate! >>> Find out how to grab your affiliate tools, product info, JV contest details and more! Kaleb Nation + Peng Joon, Alper Aribal, John Pearce, Christian Fea, Greg Jacobs, Matt Wolfe, Kenny ‘Kajabi’ Rueter and other fellow JVNotifyPro 2.0 partners are waiting in the wings … keep your eyes on your Inbox, and follow the action in the JVNP 2.0 Premium VIP JV Announcement archives.